Reservation through the LINE app is accepted.Please feel free to consult with us via LINE. Reservations via phone call can only be made through clinic hours. Line, Mail reservation can only be accepted til 17:30 from the previous day of the desired reservation date. We will provide information regarding possessions that are needed for first time visitors. It is said that people 1 of 2 people who are 40 years of age or older are diagnosed with high blood pressure. If interested in information regarding high blood pressure, please contact us for consultation. We will inform you about your belongings and various insurances upon visiting the clinic. 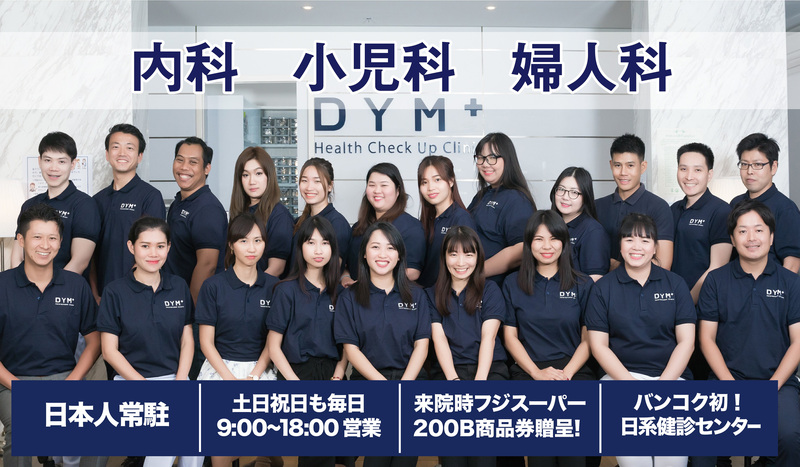 We will introduce various information of the DYM Group's management parental company.